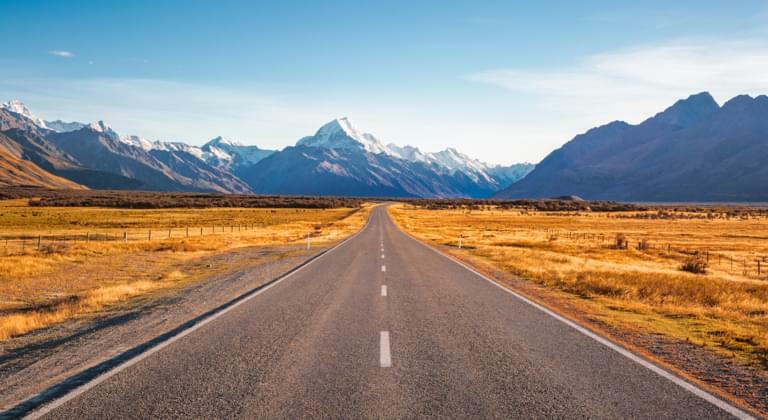 For travelling in the USA we recommend to hire a car online, in advance, preferably long before departure via the price comparison portal Driveboo. By booking early in advance you can safe a good deal of money. With a rental car you can discover the USA independently and flexibly. Benefit from the best offers from renowned car hire companies in price comparison on Driveboo. Here you can compare prices of car rental companies in the USA, e. g. San Francisco Airport car rental prices. The sooner you decide to book your rental car the better deals you will be offered. Compare deals of renowned car rentals on our comparison portal Driveboo. Travelling the USA with a car hire is an absolute must. Everything is very far spread out and it is quite difficult to get around with public transportation. Compare the offers of different car rental companies in the USA. Using the Driveboo price comparison, you can specify the desired rental period and the vehicle category. Thanks to the comparison of different providers, you can easily save money and thus protect your holiday fund when booking a rental car via our portal. Choosing insurance for your rental car can be a deciding factor when you are on holiday in the USA. Don't let your holiday be spoiled by the fact that you haven't secured yourself properly. We strongly recommend that you choose a liability coverage of at least 1 million pound, but preferably a coverage of 7.5 million pound. In addition we strongly recommend a comprehensive insurance without excess. The most practical option is to rent a car directly at the airport. A big advantage of airport car rental companies is that they have more customer-friendly opening hours. In addition, the car rental stations at the airport usually have ample parking spaces, so that they have a large fleet. If you enter your flight number when booking, the car rental company can withhold your rental car for you in case of delayed arrival due to the flight. One of the most famous sights and a spectacular natural masterpiece in the West is the Grand Canyon, which can be reached by car hire from Los Angeles in about 6 hours. Not only the west coast is unbelievably varied and beautiful, but also the east coast offers lovely hot spots, city and nature wise. New York, as a world metropolis with a huge cultural offer, an international flair and a varied nightlife, is definitely worth a longer stay. The USA is also a shopping paradise par excellence. Whether in the metropolises, or in the always a little bit remote Shopping Outlets, shopping queens and kings can romp about boundlessly. In order to reach these outlets it is quite necessary to rent a car hire. For those who prefer it more natural than metropolitan, the north of New York, for example, has a lot to offer. Niagara Falls is located right on the US/Canadian boarder and invites you to marvel at huge amounts of water. What steps are there for hiring a car in the USA? The best way to rent a car for the USA is through the price comparison on Driveboo. The prices are usually much better for early bookings. If you book from home, your rental car is therefore much cheaper for the USA. You also have more planning security and know in advance where to pick up your rental car. You can also select the vehicle category, such as SUV, convertible or mid-size cars. This way you can make sure that all suitcases fit into the rented car. There are plenty of parking opportunities spread through each city. Outside the cities though, stopping and parking on the road is prohibited. If you want to park your car, you have to leave the road completely with all your wheels. In the event of a breakdown, you may stop. But here too: Park your rental car as far away from the road as possible. In urban areas, parking is prohibited at bus stops, lowered curbs, exits, pedestrian walkways, second row, hydrants and in signposted parking zones. In the USA, everyone aged between 21 and 24 is considered a young driver. If you want to hire a rental car in the USA as a young driver, you will generally have to pay a so-called young driver's fee. Some providers offer favourable rates for young drivers, which include the supplement. Since 2016, our partner Europcar has allowed drivers over the age of 18 to rent a car in some regions of the USA. You can find detailed information about the fees in the rental conditions of your offer. The exact information on which fuel you need to fill up your rental car can usually be found in the fuel cap or in your rental car documents. Most rental cars run on regular gas. Diesel vehicles are generally not rented in the USA. Fuel is proportionally cheap in the USA and almost all cars run on petrol. 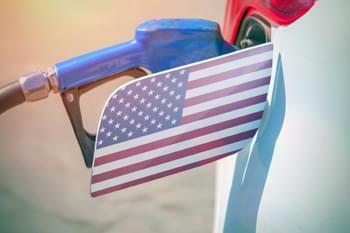 Gasoline in the USA is called gas and it is always unleaded.In the USA, fuel measurements are given in gallons per liter: One gallon = 3.785 liter. If you don't find a slot for your credit card at the fuel pump in the USA, you will have to pay for the fuel in advance. This payment system is still often found in rural areas or at independent discount petrol stations. More and more often, however, you will also see petrol pumps where you can choose in advance the amount for which you want to refuel. Another option is to deposit your credit card at the checkout and pay only the amount afterwards, but this should only be done at large petrol station chains. Opened alcoholic beverages must not be carried in the car. The team of Driveboo wishes you a lovely experience in the United States of America!